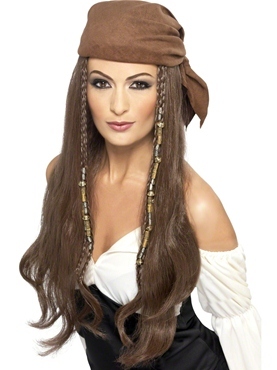 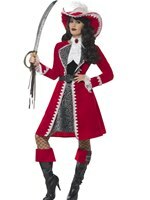 Walk the plank in style in our Ladies Pirate Costume! 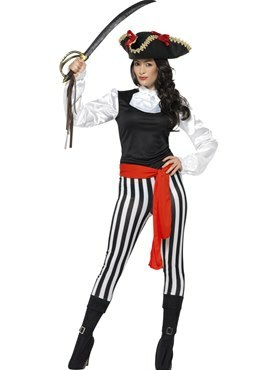 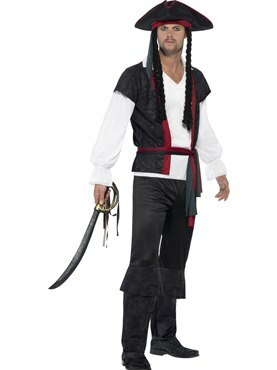 This Costume includes the Black Top with White Silk Sleeves and Pinstripe Fitted Trousers with attached Buckle Boot Covers. 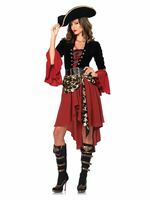 The finishing touch is the matching Silk Neck Ruffle and Red Belt. 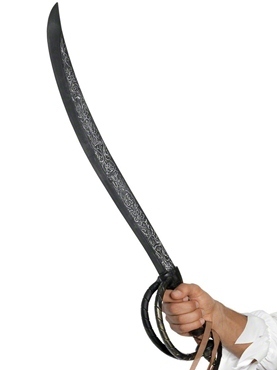 Small 8 - 10 30'' - 32'' 26'' - 28'' 28"
Medium 12 - 14 34'' - 36'' 28'' - 30'' 29"
Large 16 - 18 38" - 40" 32" - 34" 30"